NPG VAN has made a lot of noise in the political community over the last few years. The company is best known for its most notable client, Obama’s 2012 presidential campaign, and it also counts as customers most Democratic members of Congress. VAN, as it’s called for short, sells all sorts of integrated technology products to Democratic political campaigns, including fundraising tools, voter contact management systems, volunteer management platforms and more. The company is also known for its predictive dialers (described less eloquently in some cases as robocalls). As you know, these are the tools that are widely used for political campaigns to make recorded calls, although they can also be used to speed up live calling by automatically dialing numbers and then routing only the calls that are answered to campaign staff members or volunteers. VAN has an impressive suite of products – no doubt – but there are a few things the salesperson won’t tell you when you’re considering their predictive dialers. The product also has drawbacks related to pricing and, of course, partisan politics. Convenience – Everything you need to make automated calls, store contact lists and update contact histories can be stored in a single system. Busy campaigns can manage everything in one place, saving time and preventing headaches. Ease of use – VAN offers several ways to record calls, including uploading prerecorded files that have been edited or calling a phone number to do a live recording. The instructions on how to record a call are clear and helpful. Competitive pricing – VAN’s pricing is competitive with that of other companies offering predictive dialers. Results tracking – The results of automated calls are tracked in a separate area from each voter’s general contact history. The predictive dialer doesn’t cross-reference the results with other interactions. So a campaign won’t know – without doing some digging – if the person who picked up an automated phone call also emailed the campaign the week before or attended a rally. Bad phone numbers – VAN’s predictive dialer doesn’t remove bad phone numbers from the system. It simply marks them in the campaign as “other.” When the next campaign comes around, those numbers will be dialed again, which wastes time. Other products purge all of those bad numbers. Partisan affiliation – VAN only caters to the Democratic party, while many other vendors do not have party restrictions. Per-second pricing – VAN charges by the second, so it’s impossible to budget for your monthly calling in advance. Other vendors offer flat monthly fees that make pricing predictable. VAN’s rate is 1 cent for the first 15 seconds and three-tenths of a cent for every additional 15 seconds. Thus, a one-minute call costs 1.9 cents. Trouble with online phone numbers – Campaigns that use online phone numbers will have to take some extra steps to use VAN. The predictive dialer has a built-in mechanism to prevent outgoing calls from fake numbers – which is great for consumers – but it requires additional setup steps and fees for campaigns with online numbers through Google Voice, Skype or the like. Campaigns have to work separately with their phone vendor to solve this one. Kunnect sells cloud-based call center software that includes a predictive dialer for a flat rate of $125 per user per month with a flat deposit of $125 per user. Our customers include businesses across the world and political campaigns. Predictive dialers are nothing new. They’re widely used in call centers across the world to manage outbound calls, both live and automated. Predictive dialers are computer-based systems that automatically dial a list of phone numbers. When the system is used to make live calls, the computer immediately routes the call to an agent or salesperson when – and if – someone answers the phone. With automated messages, the technology is often used for surveys, appointment confirmations and collection efforts. Either way, the predictive dialer can be set up to leave a message if no one answers the phone. Most large companies are already using predictive dialers, but small and mid-size businesses can benefit from the technology, too. 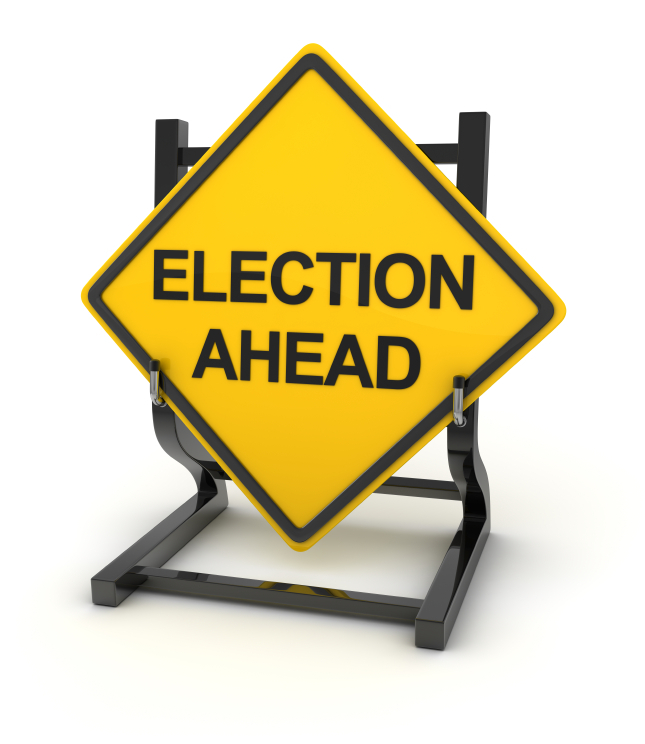 Predictive dialers also have significant advantages for political campaigns and nonprofits. In order to better understand what a predictive dialer can do for your company or organization, we’ll walk you through the benefits here. You might not think it takes much time to dial a phone number, but when you have employees who are on the phone all day, those lost seconds turn into lost minutes and hours. Factor in all the time wasted calling disconnected numbers or people who aren’t home, and your outgoing call volume has plummeted. That means fewer sales and fewer happy customers. With a predictive dialer, you can input a list of contacts and have the computer handle all of the dialing. If someone picks up, the call goes directly to a customer service rep or salesperson. If the number is busy, disconnected or a fax line, the dialer moves on to the next. Predictive dialers are even more efficient when you’re making calls that don’t require a live person. Rather than having your staff members make individual calls for surveys, appointment reminders or collections, the computer can send out hundreds or thousands of automated messages at once. You achieve the same goal – ideally – without tying up staff hours. Outside of the business world, automated calls are widely used by political campaigns to send messages to voters, seek donations or conduct surveys. Nonprofits use predictive dialers to ask for donations or send legislation updates relevant to their cause. In all sorts of situations where efficiency is important and resources are limited, predictive dialers are useful. Better efficiency equals lower costs – we all know that. The cost savings are difficult to measure because they vary from one company to another, but they’re real. One of the biggest areas of savings is personnel costs. A predictive dialer can cut down on the number of staff members and/or staff hours needed because each person can make far more calls. There’s less downtime, which allows you to make the most out of the staff members you have. Predictive dialers do come at a cost, of course, but the investment is minimal and it is easily recouped. A la carte predictive dialers cost anywhere from $50-$200 per agent per month, depending on the system’s capabilities. Or, you can opt for a complete cloud-based call center software package that includes a predictive dialer for $100-$300 per agent per month. Most experts say predictive dialers have the potential to double your outbound call volume. The results aren’t always that dramatic, but they can be. So the salespeople or telemarketers who are making 50 calls per day are suddenly capable of making 100. We all know what happens when a sales staff dramatically increases the number of calls: sales go up. 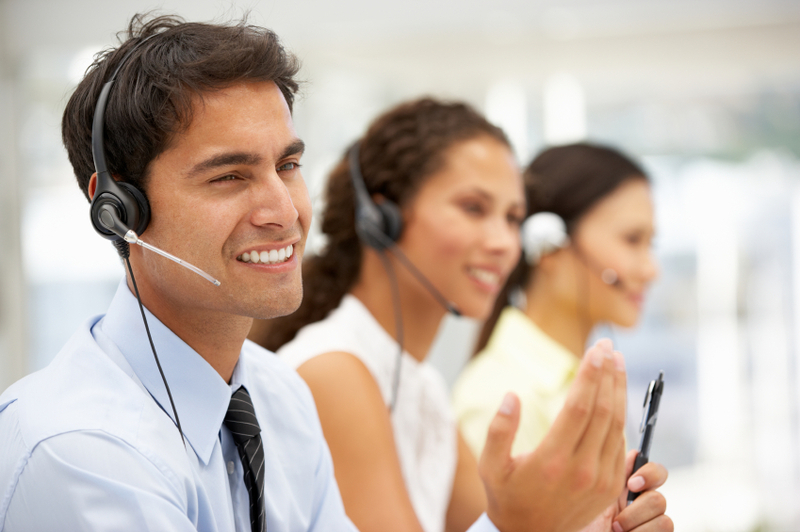 Predictive dialers also increase sales by eliminating downtime. Salespeople and telemarketers can’t sit around pretending to look busy or waste time on the phone with their friends when the numbers are automatically being dialed for them. It’s important to note, however, that people are not machines. While predictive dialers can greatly increase staff efficiency, it’s important to set reasonable expectations for the amount of time each employee spends on the phone. The one thing you don’t want to do is create a bunch of overworked and miserable employees in the name of efficiency. Kunnect sells 100% cloud-based call center software that includes a predictive dialer to businesses and political campaigns. Our software, hosted in the Amazon platform, seamlessly manages all inbound and outbound calling for a flat rate of $125 per agent per month with a flat deposit of $125 per user. 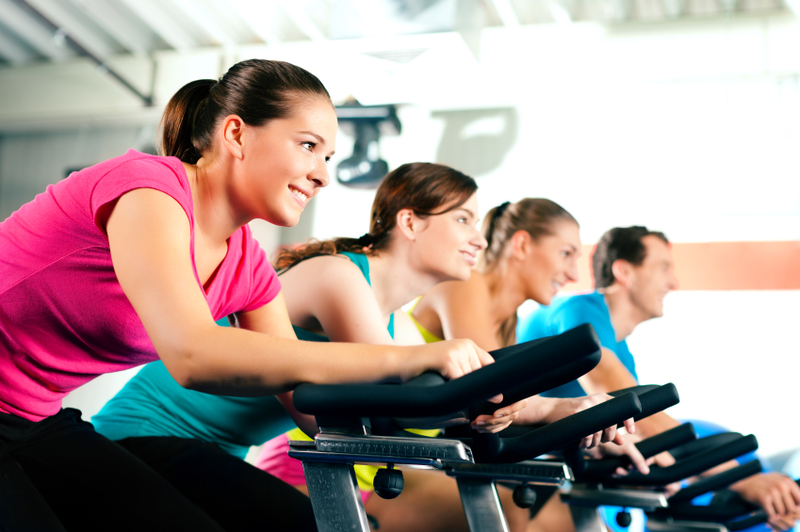 Can Exercise Programs Reduce Call Center Turnover? Can something as simple as incentivizing your employees to exercise save millions of dollars per year and reduce call center turnover? That’s a tall order, but a tech startup called Tenacity Health is banking on it. Tenacity is a MIT invented and tested app that encourages employees to exercise more, manage stress and build relationships with coworkers. Employees each choose two partners to help them reach their fitness goals, and when a goal is reached the partners are rewarded with Amazon cash. Five companies are piloting the app thus far in their call centers. CEO and Co-founder Ron Davis hasn’t said which companies – at least in so many words – but according to Technofyi blogger Alex Kuklinski, Davis strongly hinted in a June presentation that Apple is one of them. He went as far as to share the Apple logo on his screen while referring to the unnamed companies. The technology will be interesting to watch. It makes sense: We all know that call centers are stressful environments, and it’s well documented that exercise is an effective stress reliever. The larger questions are: 1) How motivational are the incentives? 2) Will companies see a return on investment? Davis seems confident, according to Kuklinski’s blog post: The CEO said at that June Sprint Accelerator Demo Day that better workplace relationships and lower stress could save more than $2 million for a call center of 50 people. What he didn’t say was how long it would take to achieve those savings. As you’re probably well aware, call centers are notorious for high turnover rates. A turnover rate of 20 percent per year is considered low in the call center industry, according to Kate Leggett, an analyst with Forrester Research. And some call centers have turnover rates of more than 100 percent per year. Given the high-stress environment, that’s no big surprise. Turnover is far more than just a headache for call centers – it’s expensive. According to the Center for American Progress, most companies incur more than $5,000 in recruiting, hiring and training costs for each $30,000 employee they lose. Multiply that by 20 percent of the staff – or more – and imagine the total annual cost. High turnover also has consequences that are difficult, if not impossible, to measure. When call center employees see their friends and coworkers dropping like flies, morale suffers. Extremely high turnover is also a good indicator of other problems, whether it’s poor training or inadequate hiring. For call centers with very high rates, it might time to look internally and shift your policies. Offer rewards and incentives – This is exactly what Tenacity is doing, and it’s a method that has proven effective. In addition to cash, you can offer raises, scheduling flexibility, extra vacation time, restaurant certificates, increased authority – you name it. Just don’t tie the incentives to the length of customer calls. You don’t want to incentive employees to be brief because brief isn’t always in the best interest of the customer. Set career goals – Working in a call center can feel like a dead-end job, particularly if you’re not creating paths for deserving employees to move up. Create a program for identifying and promoting your best employees, and let agents know from day one that hard work can lead to a promotion. Revamp your support system – Many frustrations call center employees face can be solved simply be having a strong support system. Let employees know that they can turn to managers for help when they’re facing a problem. Let them know that you want to provide the tools they need to succeed in the workplace – and be happy. So what is grassroots campaigning, exactly? It’s a very broad term to describe campaigning that begins at the local level. A movement starts person to person and then – ideally – grows to the state or national level. Typically, grassroots campaigns are based heavily on volunteer efforts. There are only so many staffers and consultants that a political campaign budget can support. Enter the volunteers. Volunteers not only supplement, but enhance, a campaign’s effort to spread the message to voters. Because they’re not being paid to make claims, voters tend to take their opinions seriously. In fact, some campaigns are bucking paid consultants altogether in favor of grassroots campaigns led by volunteers. Volunteers can turn a small team of campaign staffers into an army of political supporters. But that requires a talented (and paid) volunteer coordinator to recruit, train and direct them. The right personalities need to be selected, and volunteers need to be assigned to the tasks that suit them best. Properly executed, a volunteer campaign can give a strong and well-managed campaign the edge needed to win the race. Start with family and friends. These are the people who are likely to be your biggest supporters, which gives them the ability to speak about your cause honestly and naturally. This is key because authenticity is everything. Next, reach out to your local political party to see if they can recommend volunteers. Chances are, the local party groups have a long list of people who are more than willing to volunteer time to support their beliefs. Contact these people directly and ask them if they’d be willing to volunteer their time. Develop some key talking points about your candidate’s credentials and goals to get volunteers excited, but don’t push anyone who’s hesitant. A half-hearted volunteer might hurt your campaign, not help it. Then, reach out to friends and acquaintances of volunteers. Again, these are people who are likely to be warm to your cause. Often, politically active people surround themselves with like-minded folks. Finally, don’t forget to take advantage of social media. Send out Facebook and Twitter posts seeking campaign volunteers, and reach out directly to people who post positive messages about your candidate. When you recruit political campaign volunteers, you’re asking for a big commitment. These people are agreeing to give up their nights and weekends – unpaid – to help support your cause. The best volunteers are more than willing, but it’s important to be sensitive to their schedules and time constraints. Always ask how much time they can spare each week – and respect those limits. Spend some time getting to know each volunteer, learning about their preferences and strengths. Have a marketing expert on board? Ask them to help out with social media posts. A natural talker? That’s the person who should go door-to-door. And the shy volunteer? Maybe they’re more comfortable stuffing envelopes or sending out email blasts. It’s always a good idea to play to the person’s strengths, rather than talking them into tasks. No matter what the volunteer will be doing, it’s important to educate every volunteer on the campaign’s platforms and talking points. Even if a volunteer is behind the scenes, you never know when they’ll run into someone who learns they volunteer and wants to know more about the campaign. Everyone on the team should be prepared to answer basic questions. Finally, spend some time with each volunteer training them on the task they’ve been assigned. Even if a volunteer is a social media expert, for example, train them on how your campaign handles social media. Don’t assume that any volunteer knows exactly what to do without some gentle guidance. Kunnect sells 100% cloud-based call center software to businesses and political campaigns. Our software, hosted in the Amazon platform, seamlessly manages all inbound and outbound calling for a flat rate of $125 per agent per month with a flat deposit of $125 per user. Can My Small Business Afford Call Center Software? Customers now have all sorts of ways to get in touch with your business, from email to social media. But what do they prefer? The regular old phone. More than 80 percent of customers still prefer the phone over any other channel. Given that statistic, developing a system to streamline inbound and outbound calling is as crucial for small businesses as it is for major corporations. Without it, customers are likely to have trouble reaching the right person to answer their question – or anyone at all, for that matter. That’s frustrating for the customer, to say the least, at it looks bad for your business. Some small businesses think they don’t need call center software because they don’t have a call center in the traditional sense – you know, a giant room filled with agents wearing headsets. But even if you have just a few employees in cubicles who answer phones and contact customers, you do have a call center. In all fairness, it’s easy to understand why small businesses don’t rush to find call center software. Traditionally, many small businesses were priced out of the call center software market. The capitol investment was just too great. However, with the rise of cloud computing, enterprise-level features can be affordable. Traditional software systems that are installed on-site and managed locally by a company’s IT staff are expensive. They can cost tens of thousands or more upfront, and you need to have a robust IT department to manage them. Enter cloud-based call center software. The upfront investment is small, and the service is billed by the month. Rates vary from one provider to another, but robust services can be found for $100-$200 per agent per month. Cloud-based software is far less expensive because there’s no on-site hardware or software to install and manage. The software is hosted by the vendor on their site, and your company accesses the software through the Internet. Cloud-based call center software offers the same functionality as on-premise systems. Features include predictive dialers, automated answering, call routing, call prioritizing, CRM software integration, real-time statistics and reporting, live call monitoring, web scripting, queue management and more. Cloud-based call center software also works for small businesses because of its scalability. With on-premise software, you have to purchase enough hardware and licenses to account for future growth, which can be impossible to predict. With cloud products, buy only the number of licenses you need now, then add or remove licenses as needed with one phone call to the vendor. 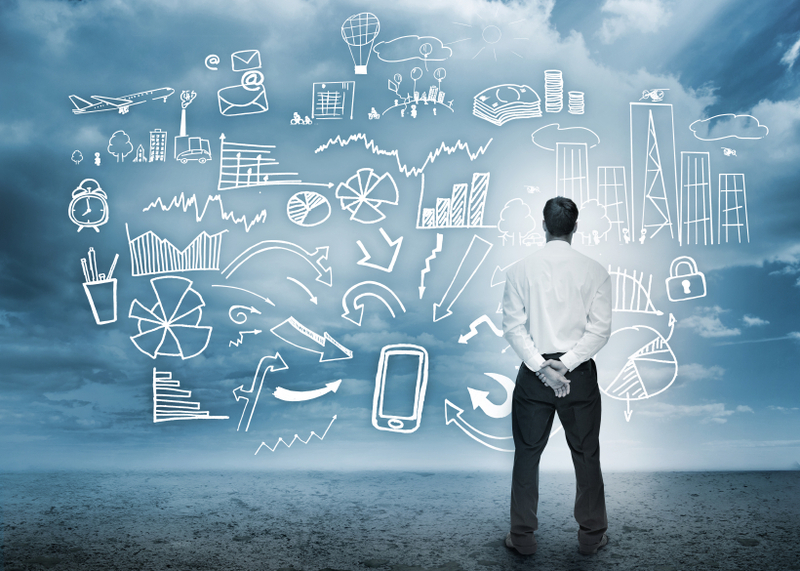 Cloud-based software has exploded in popularity in the last few years. Companies of all sizes are becoming more familiar with the technology, and they’re looking to reduce IT costs. In fact, 70 percent of call centers who use on-premise software say they’re planning to make a switch to the cloud, according to a recent survey. About half will do so within the next 18 months. How is the pricing structured? Is the monthly fee a flat rate, or do some features cost extra? Are calls billed by the hour or minute, or is calling included in the monthly fee? Be sure to get pricing details in writing. How reliable is the customer support? What are the average hold times to reach a live agent if there are problems with the software? Are agents available 24/7? Does the software integrate with your current systems? Call center software can be problematic if it doesn’t seamlessly integrate with your existing CRM and back office systems. Is the software user friendly? Call center software is only as valuable as your employees’ ability to use it properly and take full advantage of the features. Always “try it” before you buy. Kunnect sells cloud-based call center software to businesses of all sizes for a flat rate of $125 per user per month with a flat deposit of $125 per user. Kunnect sells 100% cloud-based call center software to businesses and political campaigns. Our software, hosted in the Amazon platform, seamlessly manages all inbound and outbound calling for a flat rate of $125 per user per month with a flat deposit of $125 per user. Every campaign, large or small, has the difficult task of figuring out how to make the most of limited funds. There’s almost never enough money to do everything you want, so that’s where prioritizing becomes invaluable. If you’re strapped for cash – or just watching the budget – here are some simple ways to reduce the budget without killing the campaign. Most of these are best done in the early stages, but it’s never too late to shift the strategy. You might be better off investing in a top-notch volunteer coordinator than adding another five staff members. Coordinating volunteers is a tough job, but it is powerfully effective when executed well. Volunteers are some of your strongest assets because they can speak to voters in their own language. They are typical voters, after all. They work for free because they care about the cause, of course. But they’re also a trusted source of information in the eyes of other voters because they’re not being paid to campaign. Political campaigns have widely embraced social media, but most are using it in addition to – not instead of – traditional forms of political advertising such as radio, TV and direct mailers. In some cases, social media can actually replace traditional advertising mediums. Social media allows for messages to be more personalized and targeted, increasing the likelihood that they will resonate. The key with social media, as suggested by New Media Campaigns, is never to join social networks that your staff doesn’t have time to update and manage. An inactive social media page looks bad – very bad. It’s better to join a few social networks and keep them active with relevant content than to join 10 and let them sit there. You’ll seem like you don’t care – or worse, like a spammer. No two campaigns will have the same social media strategy, and abandoning traditional advertising mediums isn’t always the best strategy. But as voters continue to move away from mediums such as live TV in favor of social networks, it makes sense to shift your strategy in that direction. You’ll be reaching voters where they want to be, and you’ll also be saving money. Shifting more of your messaging online is one way to do this, but there are plenty of other ways to cut back on overhead without hurting a campaign. Generally, experts say no more than 35 percent of campaign money should go to overhead, while the other 65 percent should go to field work. Given that, do you need that massive campaign office with desks, computers and telephones for each staff member and volunteer? Modern technology such as cloud-based call center software allows staffers and volunteers to make calls, answer phones and access voter contact info at home or on the road. The need for huge campaign offices is quickly dwindling. Cloud-based call center software for political campaigns is also less expensive than traditional on-premise call center software. There’s no expensive hardware to buy and everything is managed off-site by the vendor. If actors in big budget movies sounded like they were reading from scripts, entertainment probably wouldn’t be a $500 billion industry in the United States. Sure, we know actors work from scripts, but it’s usually not obvious to the ear. Why does this matter? Well, there’s value in believability. When we go to the movies, we want the characters to feel authentic. The same goes for the companies we interact with in everyday life. In the age of social media and consumer-driven marketing, people expect authenticity from their customer service reps. So what happens when one of your customers contacts the call center with a problem and reaches someone who sounds more like a robot than a real person? They might leave the conversation dissatisfied, or with a tarnished image of your brand. The reason? Lack of empathy. You might think that resolving a problem is enough to satisfy a customer and deem the interaction a success. Not so fast. Modern customers, whether they say it or not, also expect the agent to empathize with their problem. Simply acknowledging that a problem is frustrating goes a long way. Reading from a script, even if it includes empathetic statements, sounds inauthentic. Humans are good at detecting when another person feels real empathy, and that’s almost impossible to convey while reading a script. That is, unless all of your call center agents are trained actors. Although scripts do have a place in call centers (we’ll get to this in a minute), it’s crucial that your agents do not read them word for word. In addition to sounding inauthentic and uncaring, it’s more difficult to solve a problem when agents feel tied to a script. There’s almost no chance for creative problem solving. The title of the blog is about why call center agents shouldn’t use scripts, but that’s a bit deceiving. Scripts do have a purpose in the call center. The purpose is just more limited than some call center leaders think. Most customer service experts agree that scripts should be used as guidelines, not actual scripts. Perhaps call centers would benefit from calling them guidelines instead, but that’s besides the point. A script should offer agents options for how to respond, but the actual response should be crafted in their own words. To avoid the “I’m reading from a script” trap, have your call center agents familiarize themselves with the script in advance – almost to the point of memory – and then put the script away while they’re on the phone. Agents will gain the knowledge they need to answer questions and solve problems, but they’re unlikely to sound like a robot because they’re not actually reading. The script should be handy in case of emergencies, of course, but it doesn’t need to be right in front of their face. Some call center agents, particularly new employees, feel more comfortable reading from a script. But it’s important to let them know that reading from a script isn’t good for the company or the customer. This is where training is key. If you expect agents to succeed without a script, be prepared to invest a little extra time training – it will pay off. Before a new employee hits the floor, have them practice, practice, practice how they would address almost any situation that could arise. The more practice the agent has, the more confident he or she will feel solving problems without a script as a crutch. In the first few weeks on the floor, tune in to some of the agent’s calls to find out how he or she is handling customer interactions. 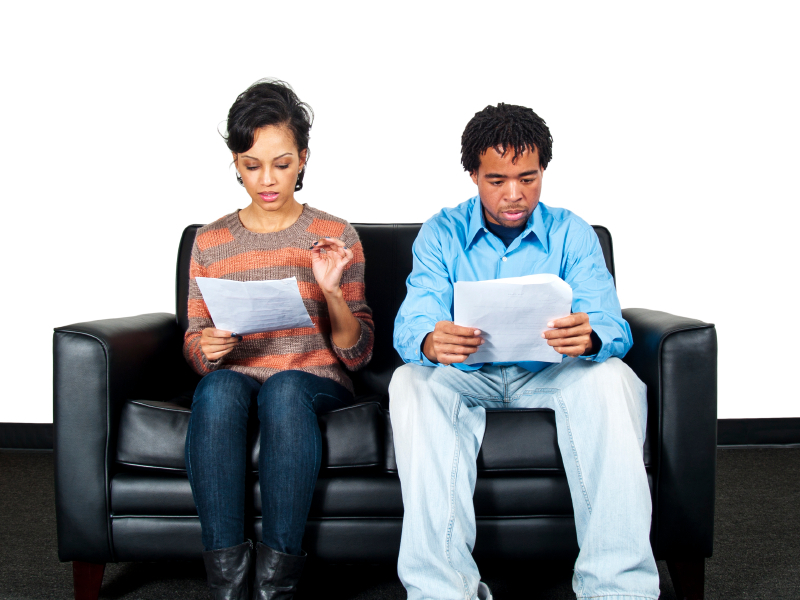 If new agents sound scripted, encourage them to be more natural and/or offer further training. Bad habits are much easier to break in the beginning than later down the road.